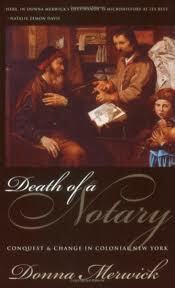 The practice of the notary public dates back to ancient Roman times when few people were taught to read and write. A notarius was appointed as a public official to create written documents of agreement or wills and hold them for safekeeping. Wax seals with individualized engravings or symbols were used as signatures at the end of the written agreements. In later centuries, ribbons were woven into multiple page documents to tie the pages together. Seals were placed over the knots to ensure no pages were added or removed. This was the birth of the notary seal and certificate. In colonial America, persons of high moral character were appointed as public notaries to certify and keep safe documents of shipping and bills of lading for transatlantic shipping. Around the globe today, there are three major, distinctly different notarial systems, each associated with a different kind of Notary: the Civil Law Notary system of the Latin nations, the Common Law Notary system of the English-speaking nations, and the Notary system of the United States, which is derived from the English Common Law system but quite different. The following selective historical accounts provide illuminating background information on the evolution of the three modern systems of notarization. Ancient Egypt: Old Kingdom: 2750-2250 B.C. Ancient Egyptian “sesh,” or “scribes,” were established in the Old Kingdom and were the earliest known chroniclers of official communications in recorded history. 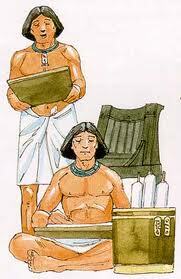 The tools of their craft were pigments, water pots and writing implements, which they often carried over their shoulders. Scribes made up an entire level of ancient bureaucracy and were the only citizens who were aware of almost every noteworthy event in the empire. Personal letters, diplomatic communications, wills and other legal documents, official proclamations, tax records, administrative, economic, and religious documents, and other documents all went through their hands. The closing phrase of their ancient letters, “May you be well when you hear this,” implies that the scribes not only wrote but also read communications between two people. The recording of events was so highly valued that Pharaoh Tutankhamen even included writing equipment among the necessities he had with him for the afterlife. Today, there are preserved copies of the efforts of some scribal apprentices whose works have been corrected in red by their masters. The Poor Fellow Soldiers of Christ and the Temple of Solomon, more commonly known as the Knights Templar, were a monastic military order formed at the end of the First Crusade with the mandate of protecting Christian pilgrims on route to the Holy Land. From humble beginnings of poverty when the order relied on alms from the traveling pilgrims, the Order would go on to have the backing of the Holy See and the collective European monarchies. Within two centuries they had become powerful enough to defy all but the Papal throne, and created the modern system of banking, mortgages and loans. 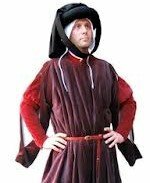 The Clergy of the Order were highly educated and became the critically important Notaries for all Templar business, official documents, orders and proclamations. The Templars had grown rich and powerful, and amid unsubstantiated rumors of heretical practices, King Philip the Fair of France saw an opportunity to fill his own coffers at their expense. 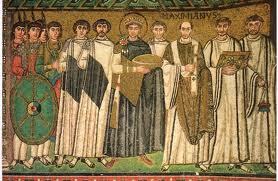 He had all the Templars in France arrested and pressured Pope Clement V to suppress the order. Clement V ordered one of the Order’s Notaries to record the coerced confessions of scores of Order members. On Friday, October 13th, 1307, King Philip had all the Templars arrested on the grounds of heresy, since this was the only charge that would allow the seizing of their money and assets. With the forced notarized confessions used as key evidence, many Templars were tortured, banished or burned at the stake. Ever since then, the superstitious have considered Friday the 13th a day of bad luck. Notaries were not introduced into England until later in the 13th and 14th centuries as English common law developed free from most of the influences of Roman law. 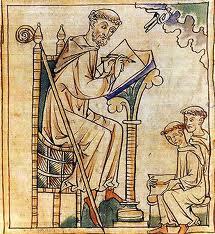 Notaries were often appointed by the Papal Legate or the Archbishop of Canterbury, and in those early days many were members of the clergy. Over the course of time members of the clergy ceased to involve themselves in secular business, thus the laymen in towns and trading centers began to assume the official character and functions of a modern Notary. Then in 1533 the enactment of the Ecclesiastical Licenses Act — also known as the “Peters Pence and Dispensations Act” — terminated the power of the Pope to appoint Notaries and vested that power in the King. Traditionally, Notaries recorded matters of judicial importance as well as private transactions or events where an officially authenticated record or a document drawn up with professional skill or knowledge was required. In the Middle Ages, Notaries were sometimes asked to witness the consummation of marriages involving royalty. The other emphasis on notarial acts was the importance of the Deed. In Roman law countries only Court judgments carried any special force, but, as Notaries ceased to be dependent on judicial authorities more and more force was given to their Authentic Acts, as they are called. It was Louis XIV of France who abolished the last vestiges of the ancient dependence on judicial authority and granted to each Notary a seal with the Royal Arms. The modern Notary must still employ his seal, but that is now for him to design personally and to guard carefully. Notaries accompanied Columbus on all of his voyages to ensure to King Ferdinand and Queen Isabella that all discovered treasures were accounted for. Thus, Notaries during this time enjoyed a special relationship to the truth. They witnessed noteworthy acts, from the spectacular — like when Columbus first beheld the New World in 1492 by landing on San Salvador Island in the Bahamas — to the humble and mundane: the promise of a dowry, an apprenticeship, or a loan. It then fell to Notaries to shape the messy specifics of each event into the proper form to be committed truthfully to the page. Not just any written language would do. Manuals with specific itineraries of meaning were used in Europe and the colonial Americas to guide these men in regularizing the endless diversity of people’s actions and language into the approved formula. 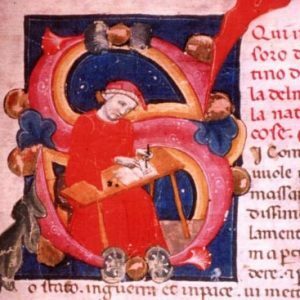 Notaries were thus truth’s alchemists, mixing the singular into the formulaic in accordance with prescribed recipes to produce the written, duly witnessed, and certified truth. The marks of this stylized, notarial truth are everywhere in the archives of Europe and the Americas, in documents that aggressively demand the reader’s belief in the Notary’s word. Even the most routine transactions are full of formulaic professions of the Notary’s faithfulness and appeal to the notion that he was there — present at the scene, a trustworthy eyewitness — properly equipped to register what mattered. From this dedication to truth was born the modern notarial certificate. In Colonial America, only persons of high moral character were appointed as public Notaries to certify and keep documents safe. Their fundamental contributions to colonial life and the founding and development of the United States are largely seen as the reason American business became a huge success. For example in colonial times, Notaries were invaluable to trans-Atlantic commerce, as parties on both sides depended on them to be honest third parties in reporting damage or loss to a ship’s cargo. While Notaries were held in very high regard during this time, life for Notaries in early America was anything but easy. A Notary’s work supported government, commerce and private life, all of which were filled with conflict between the colonies of the New World and the empires of the Netherlands, England, Spain and France. Adriaen Janse van IlpendamMany Notaries were faced with huge challenges of authority and relevance during the era of rapid political and cultural change. Some were even killed for their involvement in authenticating official documents and recordkeeping as conflicting factions fought for control of the New World. Others saw their fortunes and celebrity either increase, or decline depending on the ever-changing power structure. The most intriguing story of a Notary’s early struggle lies in the life of Adriaen Janse van Ilpendam, a Dutch immigrant to “New Amsterdam,” whose career as a Notary led him to an uncertain existence after the English took over, renamed the region “New York,” and replaced English with Dutch as the region’s official language. As a result, van Ilpendam took his own life in 1686, as his place in society had all but evaporated. Despite the early struggles of Notaries, their certificates and seal of office remained prima facie evidence that an official act occurred and was authentic. John Coolidge was born in 1845 and was 78 years old when he came to fame as a Notary Public in Plymouth Notch, Vermont. He had owned the village store, was a town leader in Plymouth, was a member of the state legislature and had been a state senator. His family had been among the original settlers of the town after the Revolutionary War. 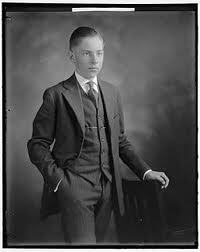 His son was Calvin Coolidge, born in 1872. calvin coolidgeAfter attending the town’s one room schoolhouse, the younger Coolidge went on to the local academy where he was encouraged to go to college, the first one in his family to attend. He became involved in the Republican Party and was elected Vice President under Warren G. Harding in 1921. When Harding died in 1923, Coolidge was sworn in as the 30th President of the United States by his father – the only president to ever be sworn in by a Notary. Coolidge is a very important President with respect to Notaries. The public trust that Coolidge earned is reflected by his having held 10 elected positions – a number far greater than that of any other President in our history. His lesson for Notaries was that, unlike other Presidents, he consistently demonstrated the courage to say “no” when warranted. This is something that Notaries, as public officials, are also expected to do. An important basis for his high ideals and ethical integrity came from his commitment to the founding principles of our country, including the defense of property and personal rights. In fact, Coolidge and Abraham Lincoln were the only two presidents to have been experts on the Declaration of Independence and the Constitution.